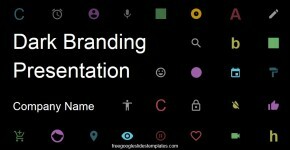 The Dark Branding Presentation is a creative Free Template designed for marketing and branding presentations. The Theme is based on a black background. Its iconography is imported from the Google Web Icons gallery of Material Design Collection. Each of the shapes is created as vectorial graphics, and can be edited as traditional google slides shapes. The presentation template provides slides designs with different structures, as the agenda, section divisions, diagrams and charts, dashboards, photos and thank you page. Users can reuse or modify the theme through the Master functionality of the Google Slides editor. Every presenter can apply this Free Google Slides Template in their presentation to boost their look and feel and impress their audience.